Friends of mine would rather leave the country than spend time in Wellington in October and November. It’s this time of year that Wellington most earns it’s weather reputation as being wild and windy. 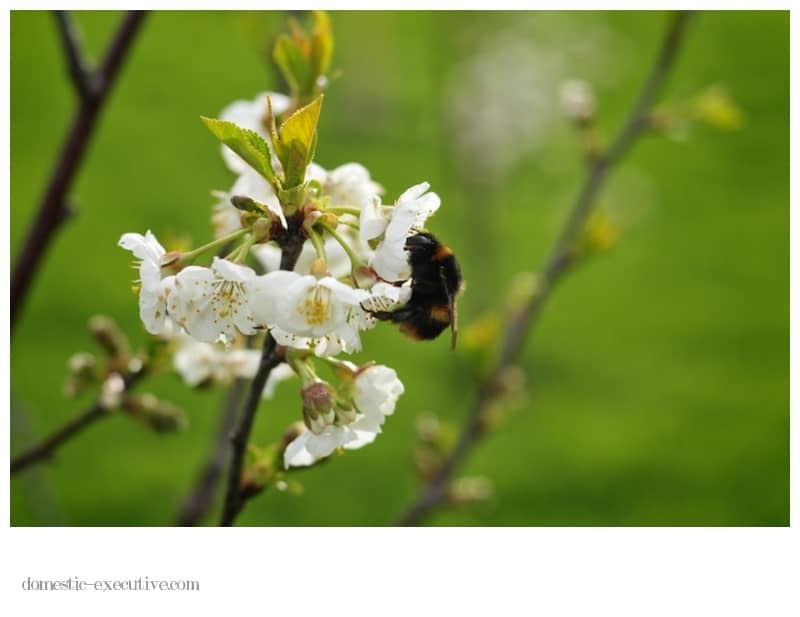 It’s a worrying time of year if you’re growing fruit trees since there is a high probability of the fruit tree blossom being blown off the try before the bees have had their chance to work their magic. We only planted our first fruit trees 3 years ago so it’s a tad optimistic to expect much of a fruit crop yet but with every year the chances improve. I’ve become a total fan of Marco Diacono who writes the most engaging and informative books about growing edibles. Most recently I was treated to the River Cottage Handbook on Fruit and the page turner Taste of the Unexpected both of which boosted my enthusiasm for growing fruit. The only frustrating thing about reading these books is it invariably starts an often futile and frustrating search for varieties which are just not available in New Zealand and the Biosecurity restrictions would prevent us from importing them to New Zealand. Nevertheless I did get rather distracted at the garden centre and ladened my trolley with new fruit trees. I was most excited by the possibilities of growing Medlars which have graced the tables for centuries although you won’t find them in any supermarket. Also mulberries which are equally prized. I threw in a couple of hazelnut trees on account of the fact that we don’t seem able to get Hazelnut yoghurt here so thought I’d have to make my own (although I did actually spot some in the supermarket straight after I bought the trees). After the joy of harvesting berries in the kitchen garden last year I added blackcurrant, tayberry, boysenberry and another variety of raspberry to boost our soft fruit variety list. I’m in two minds about whether to grow peaches, apricots and any more citrus fruit. We certainly have a perfect spot in the kitchen garden but I worry that the Wellington weather just isn’t warm enough to do them justice. I’m sure I’ll revisit that decision next year as the more I read about eating apricots straight of the tree the more attractive proposition it sounds. Fruit is of course quite high maintenance requiring special care and attention but I think it’s worth it. I’m getting some new framing built so we have a more secure place to hang the bird netting over and protect my fruit harvest and I’ll be paying special attention to my cherry trees which had the cherries stripped bare by the birds in one fowl swoop. On last count we now are growing over 20 different fruits in the garden which should the fruit bowl well stocked. I can see the day when we’ll have to have a special store shed though for the orchard fruit so we can keep them fresh and enjoy them through the winter months. Let’s hope that this bee did the business pollinating the trees before the wind and rain knocked the blossom off the trees! I am very jealous of all your space! Can’t wait to see photos of the medlars. They are so beautiful. Nigel Slater goes on about them in Tender Vol 2. If you grow fruit and like cooking, that’s the book to get yourself for Christmas. I can’t wait for the medlars either although I suspect we’ll have plenty of angst of when to harvest, what to do with them….. still, nice problem to have!